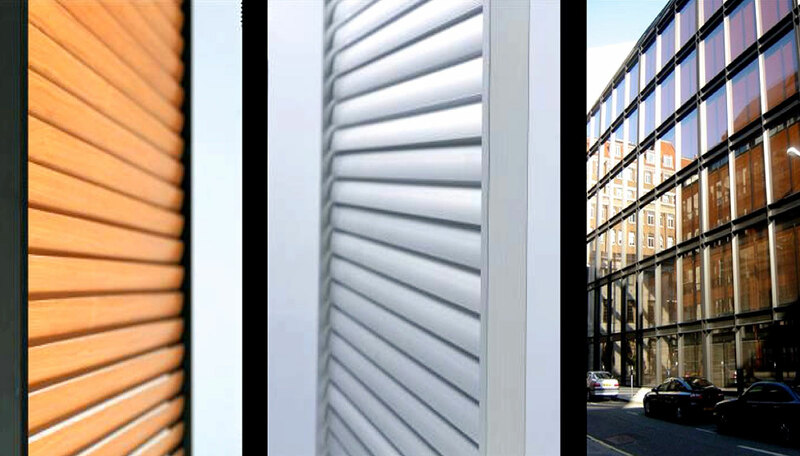 The complete facade of the office building in Gresham Street in London, designed by Foster + Partners, is covered with extruded aluminium shutter frames with an invisible system, operating and controlling the tilting louvers. The system was inspired by the traditional venetian blind with its excellent daylight control characteristics. But all cords and strings have been avoided. 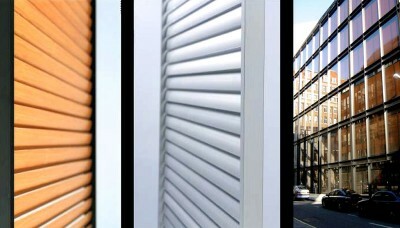 So that nothing disturb the surfaces of the louvers. In this way an extremely pure and minimalist design and appearance has been achieved. The louvers were produced in a unique technology with wood veneer on aluminium. The movable indoor louver shutter frames are not just part of the building’s architectural expression. They are an integral part of the advanced climate control system as well.